Tantrums represents a child’s way of communication being upset in the absence of matured language or expressive skills. They can involve sudden bursts of anger, frustration and disorganised behaviour. The child may demonstrate cats of crying, screaming, kicking, falling down, flailing about or running around. Sometimes, they may hold their breath, vomit, break things or get aggressive. It is also a learned behaviour. 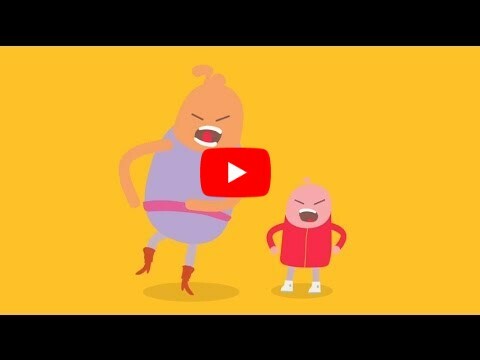 Tantrums are very common in children aged between 1-3 years because at this age, the child’s social and emotional skills are only just starting to develop at this age. Children have not learnt enough words to express their emotions yet. Reduce stress or tiredness. Let your child sleep when he/she is tired. 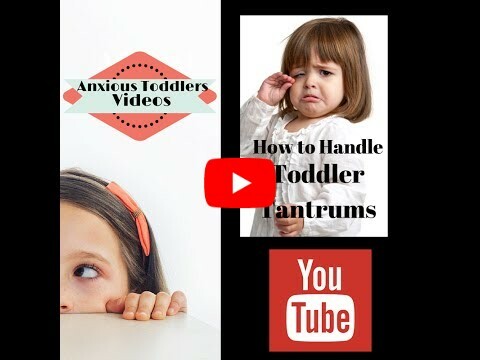 Identify tantrum triggers so that you can prepare ahead. If your child throw tantrums when you do grocery shopping, it might help to go after your child has had a nap and a snack. When you suspect that your child may have some behavioural issues, you need to know what symptoms to look out for. Autism Spectrum Disorder (ASD) is characterised by ‘persistent deficits in social communication and social interaction across multiple contexts, including deficits in social reciprocity, nonverbal communicative behaviours used for social interaction and skills in developing, maintaining and understanding relationships’. More than half the children would have the diagnosis by the age of 6 years and over 90% diagnosed by the age of 12 years. Boys are affected more often than girls. What are these repetitive patterns of behaviour? Take your child to a child psychologist or therapist for assessment if you have any concerns.  Download Teleme’s mobile app and consult Ms Katyana, Psychologist. OSA is the most common type of sleep apnea. Around 15-20% of adults experience OSA and it is associated with being overweight, older age groups, smokers, rhinitis, pharyngeal reflux and in males. During sleep, our muscle tone relaxes and the airway lumen diminishes which requires more respiratory effort. This increase in respiratory effort results in negative airway pressure causing the airway soft tissue to flop back and obstruct the airway. Most common symptoms include snoring and restless sleep with periods of silence (apnea) followed by sudden gasping and even arousal from sleep. This causes poor quality sleep which results in early morning headache, unexplained daytime sleepiness, trouble concentrating, mood changes such as irritability and poor work performance. There are also heath implications as they are more likely to get hypertension, heart disease, stroke, diabetes and involved in accidents. Important to have a complete examination by an ENT doctor to check BMI, neck circumference, nose and oral cavity to look for any anatomical obstruction by any polyp, septum deviation, tongue or lymphoid tissue. Sleep study (PolySomnoGram or PSG) is the ‘gold standard’ to diagnose OSA and can be done at home by sleep coordinators who will do a home visit. Some other parameters which can be measured include heart rate, oxygen saturation, airflow and sleeping position. The Apnoea:Hyponoea Index (AHI) is used to grade the severity of the sleep apnea depending on the number of ‘events’ detected per hour of sleep. An ‘apnea event’ is defined as complete cessation of airflow for at least 10 seconds while ‘hyponoea event’ is defined as 50% decrease in airflow for at least 10 seconds or 30% decrease in airflow with associated decrease in oxygen saturation or an arousal from sleep. Download Teleme’s mobile app to find an ENT surgeon near you or ask a Sleep Coordinator about Sleep Apnea. Myofunctional therapy is to re-train the movement of the tongue and orofacial muscles to establish adequate postures. These exercises will strengthen the tongue and muscles which may improve breathing problems, speech and facial growth. i) Take a SLEEP APNEA QUIZ to see if you’re at risk. ii) Talk to your doctor or sleep clinician about how to get a SLEEP APNEA TEST. This can be either an overnight sleep lab test (known as a polysomnography or PSG which needs to be done at a hospital) or a home sleep test (HST). In a sleep lab or at a hospital, sensors will be placed on your body to monitor your sleep. With your permission, staff may also want to film your sleep study to gain more insight into your sleeping behaviour. This is to assess for unusual movements in your sleep (like sleep talking or walking) and for night-time seizures. You will need to stay overnight at the hospital for this test. A home sleep test (HST) is similar to a sleep lab test but with the convenience of being in your own home. Before a home sleep study night, a sleep clinician will show you how to apply the sensors & monitors and also how to use the recording device during the night. When you wake up in the morning, you can remove the sensors and return the recording device to the sleep clinician. ResMed’s ApneaLink™ Air home sleep testing device includes a chest belt, nasal cannula, oximeter and recording device, which can detect apneas, hypopneas, flow limitation, snoring, blood oxygen saturation and breathing patterns during your sleep. Download Teleme’s mobile app to find an ENT surgeon near you or ask a Sleep Coordinator about a Home Sleep Test. Getting a good night’s sleep requires more than just going to bed on time. Try the following sleep tips to give yourself the best chance of getting consistent, quality sleep each night. Allocate enough time for sleep. Sleep is just as important as diet and exercise so it is important to allocate the right amount of time in your day for sleep and plan the rest of your schedule accordingly. Getting a good night’s sleep means 7–8 hours each night for adults (including older adults), 9–10 hours for teenagers, at least 10 hours for school-aged children and 11–12 hours for preschool-aged children. Create a consistent sleep routine. As creatures of habit, we are usually more successful when following a routine. Sleep is no different. From your pre-sleep ritual to going to bed and waking up at the same time, you will find that consistency makes it easier for you to fall asleep. Create a comfortable sleep environment. Make sure your bedroom is quiet and comfortable – especially your bed. It may take some experimenting on your part but finding a comfortable bed and pillow is invaluable. We spend one-third of our lives in bed so don’t compromise on comfort. Turn off all light emitting gadgets at least 30 minutes before bedtime. Whether it’s television, reading, email or texting, give yourself a nice window of time to unwind and relax before sleep. Television and bright lights also suppress melatonin production thereby making it more difficult to fall asleep. If you feel like you’re doing everything you can to get a good night’s sleep but no longer have the energy to do the things you love, you may have sleep apnea which affects three in 10 men and nearly two in 10 women. Talk to your ENT surgeon or Sleep Coordinator about your sleep issues.